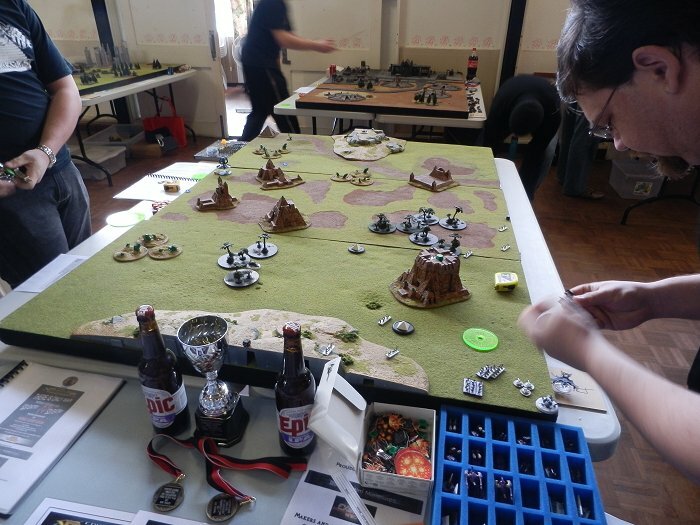 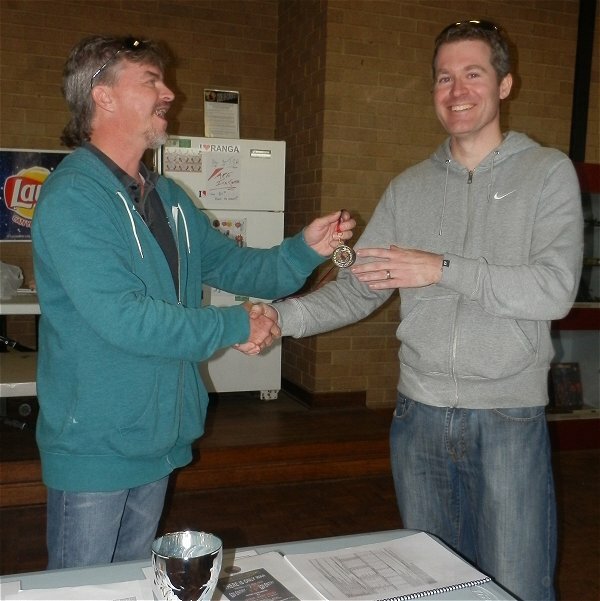 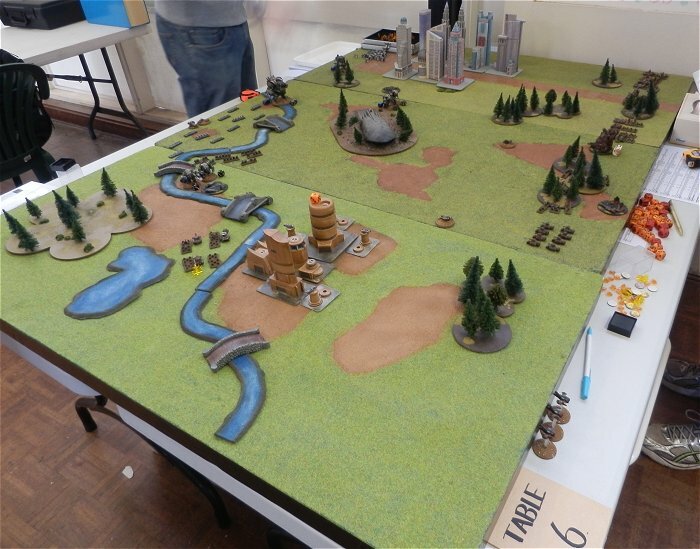 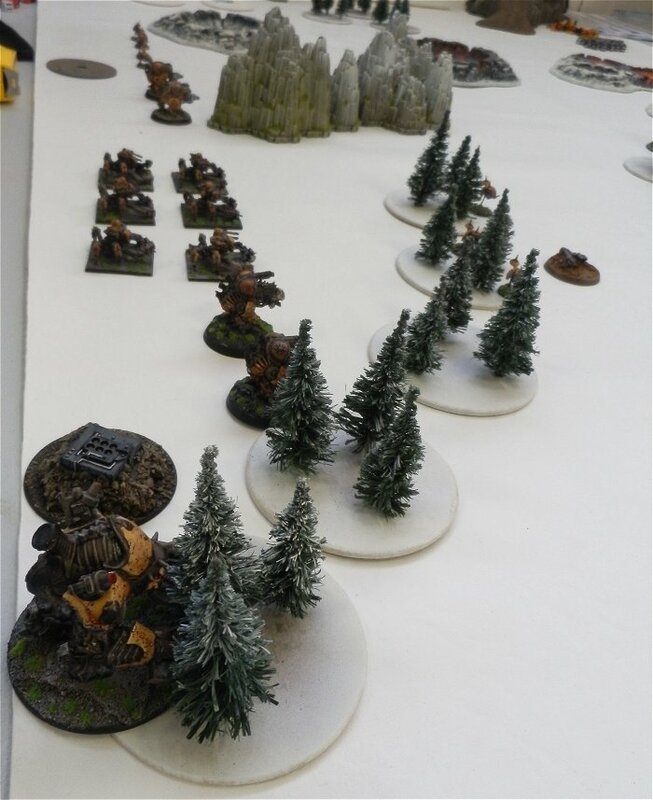 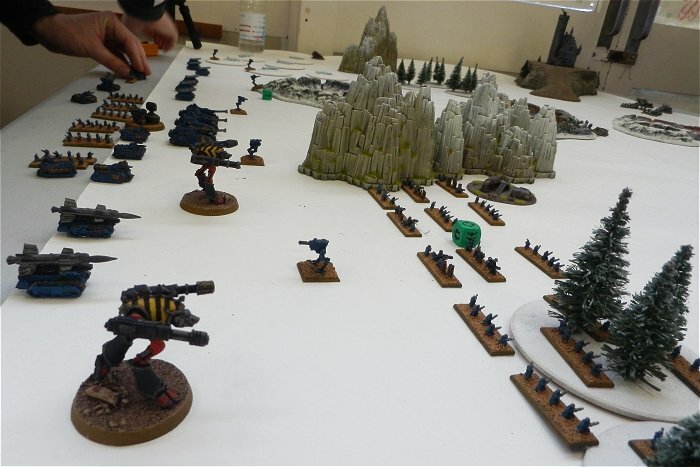 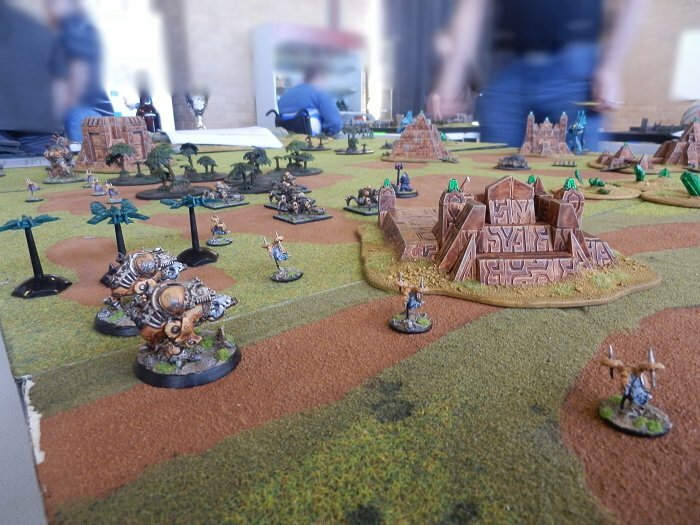 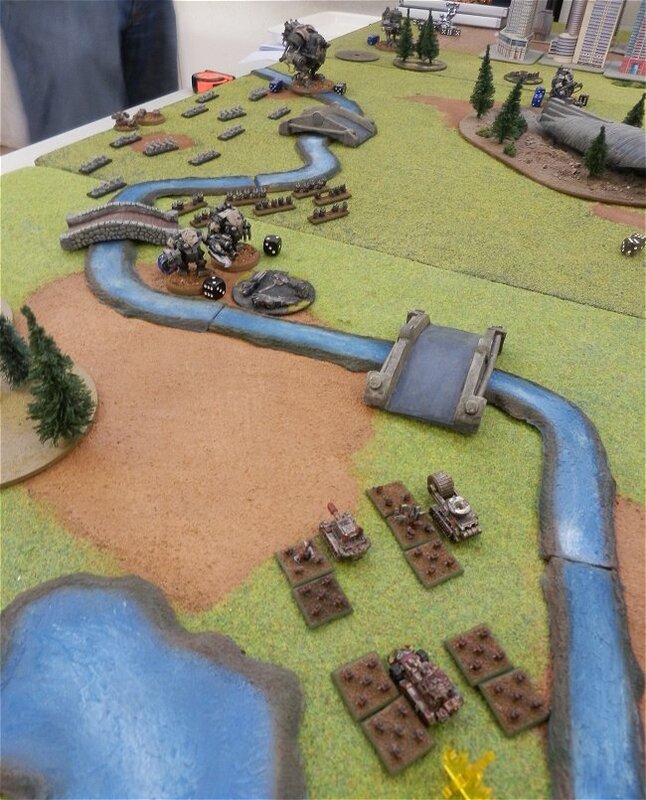 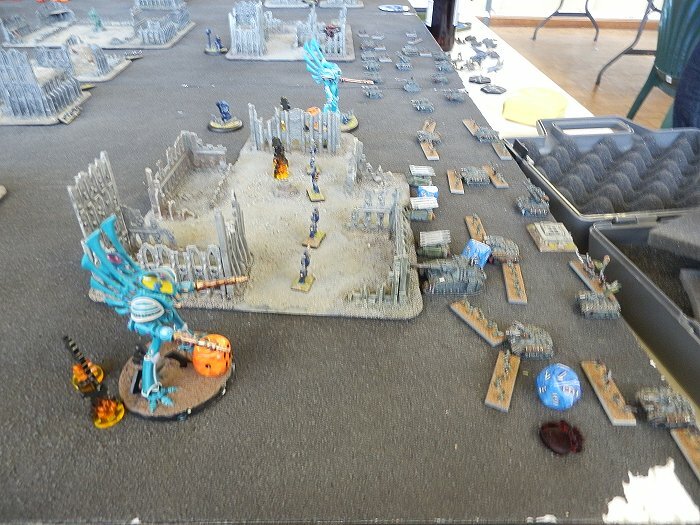 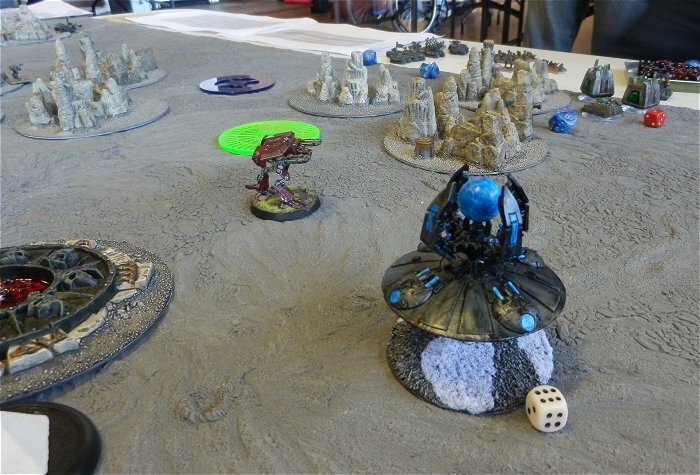 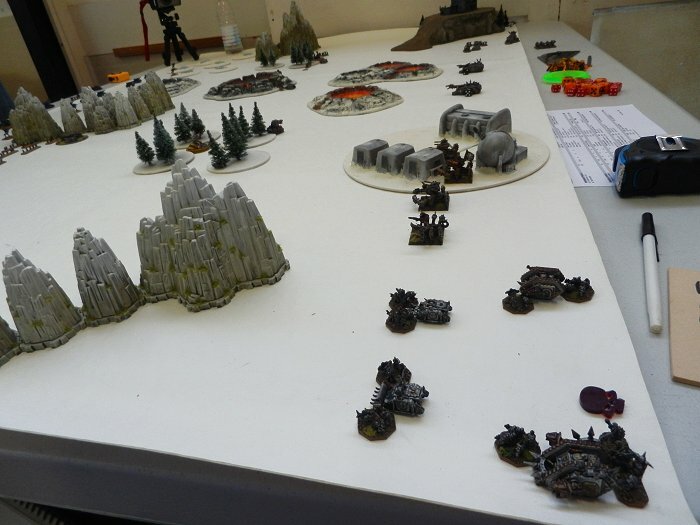 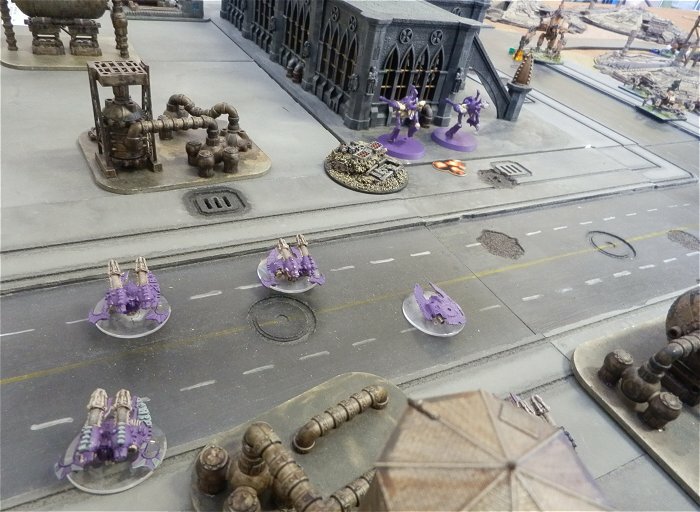 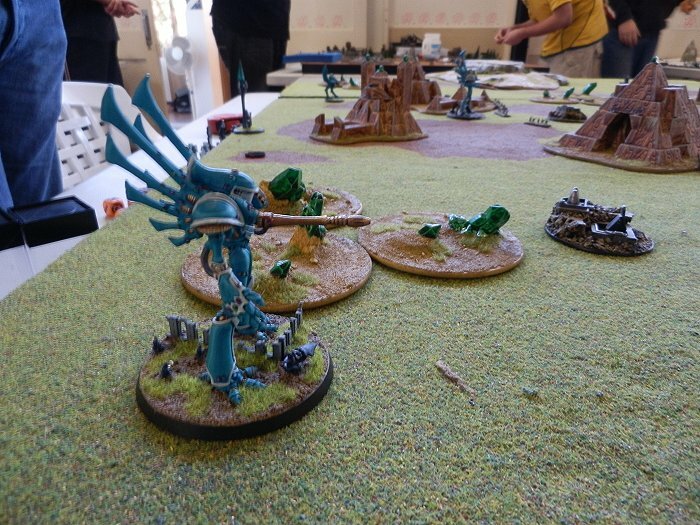 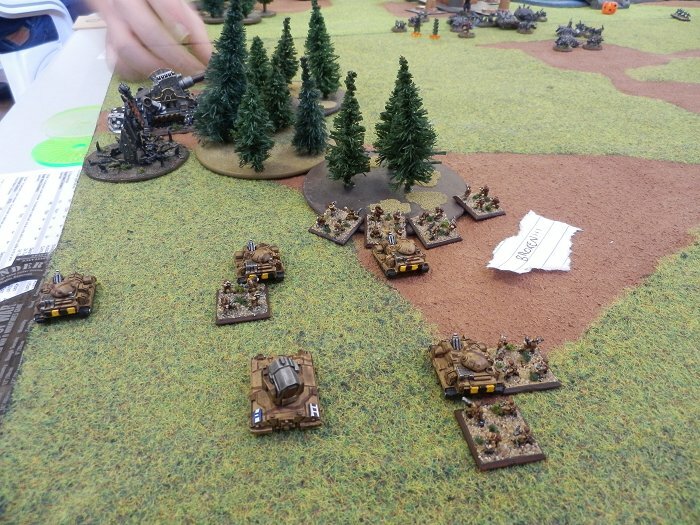 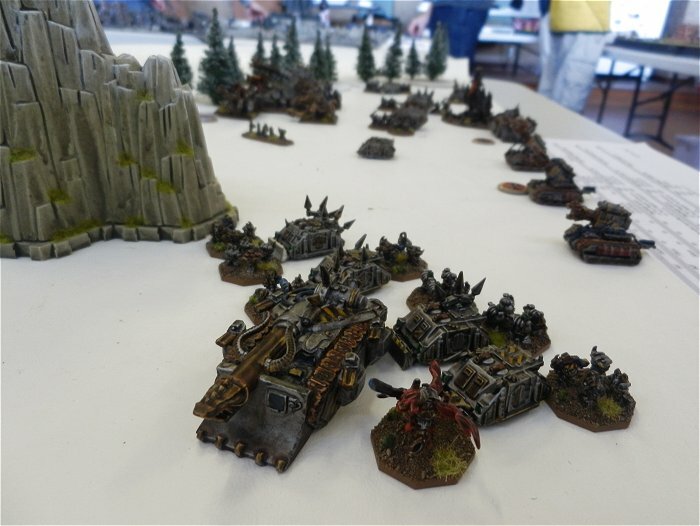 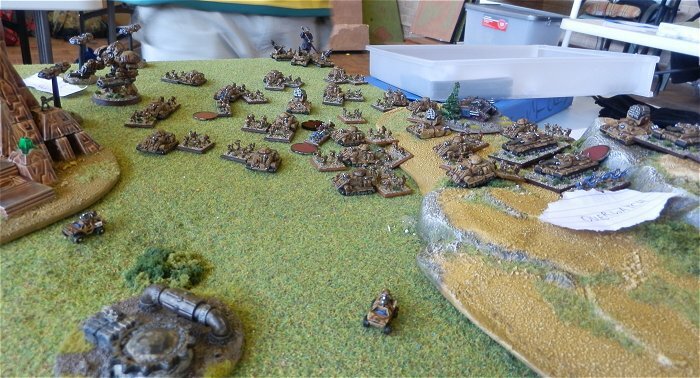 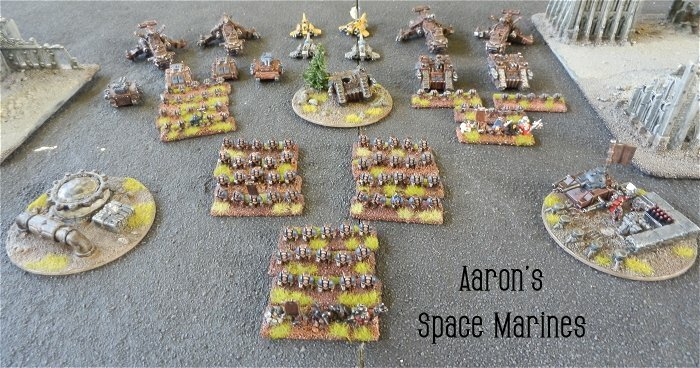 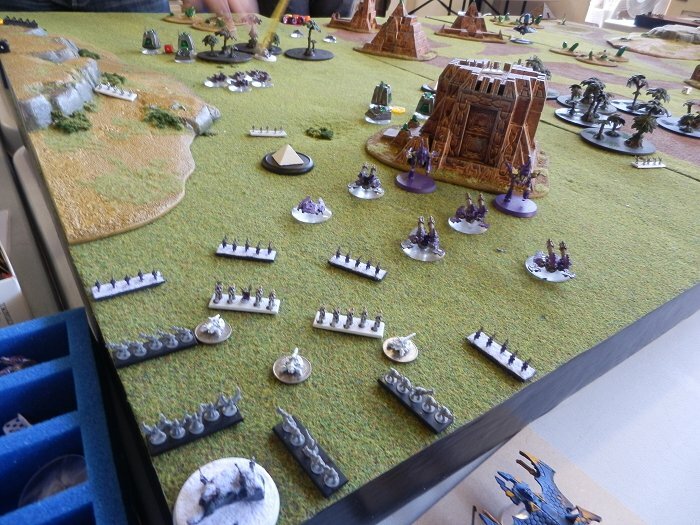 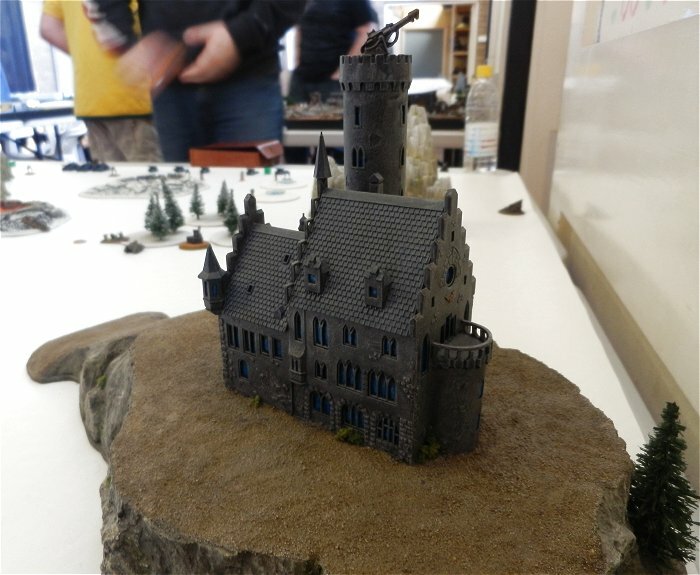 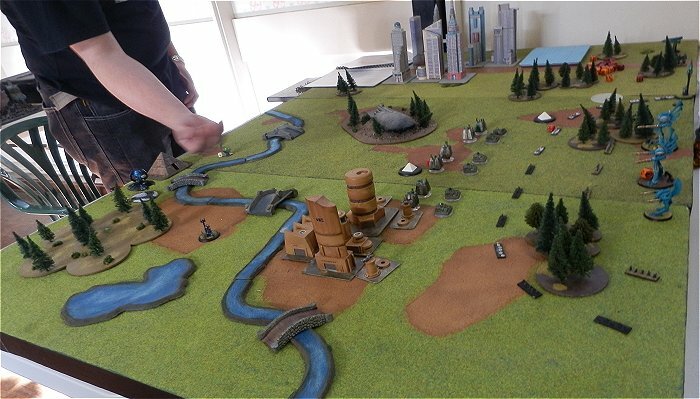 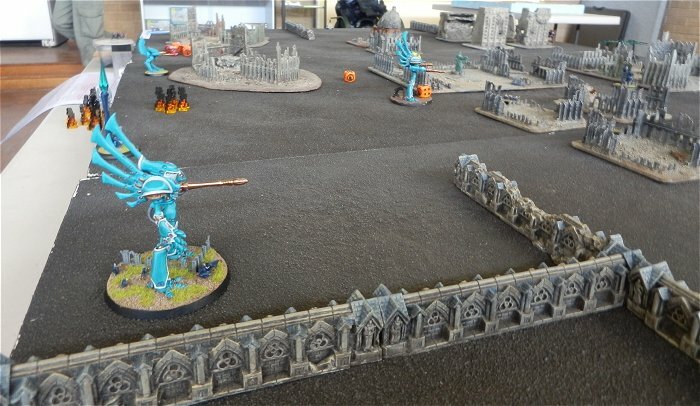 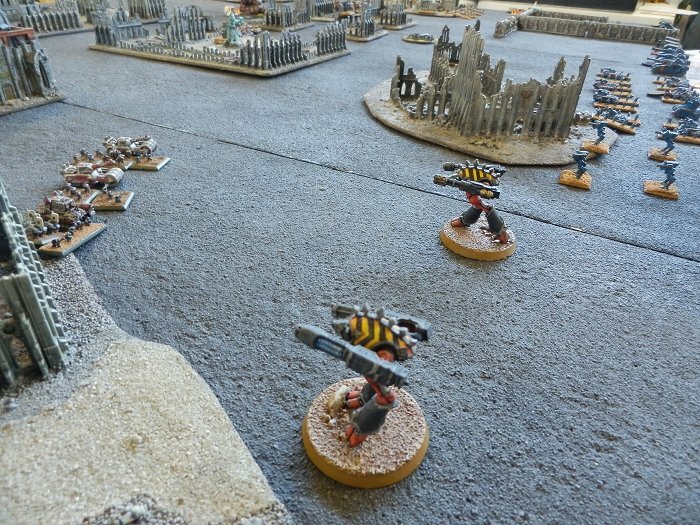 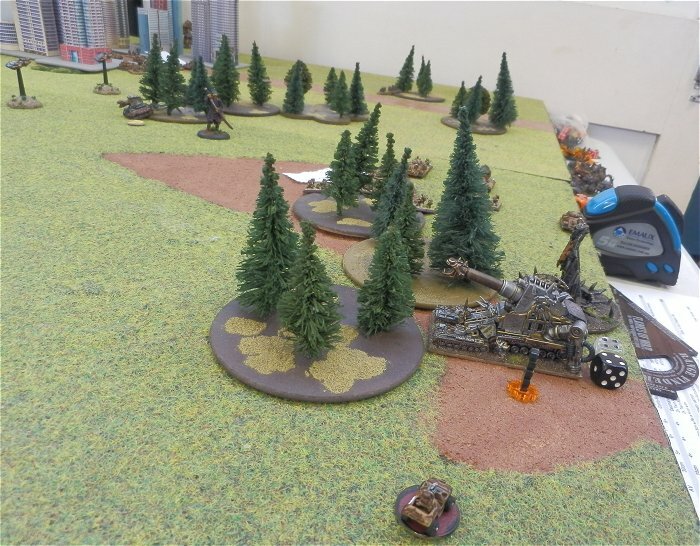 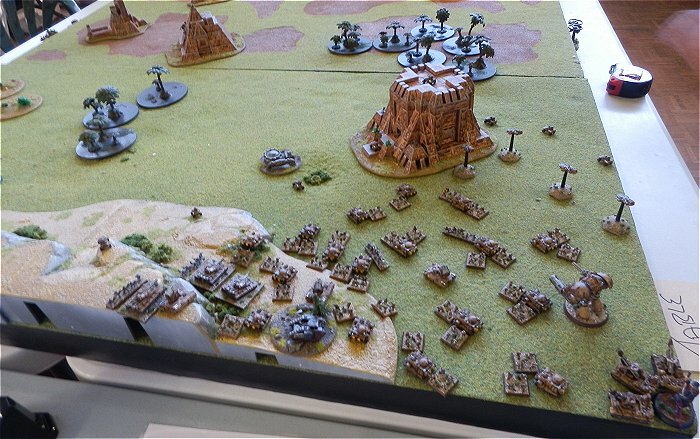 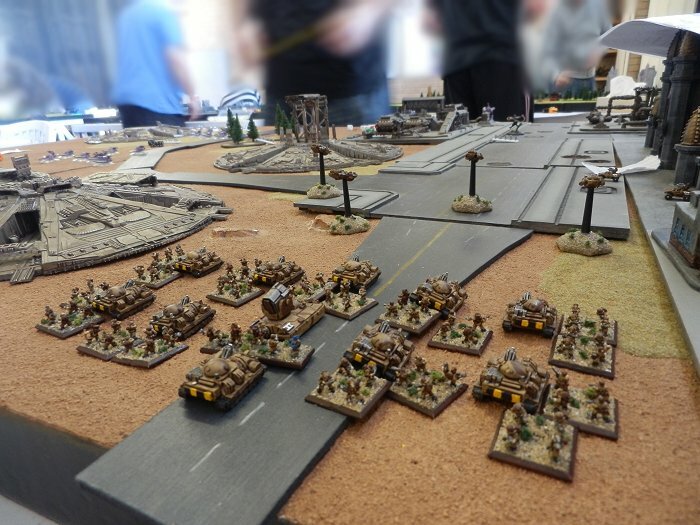 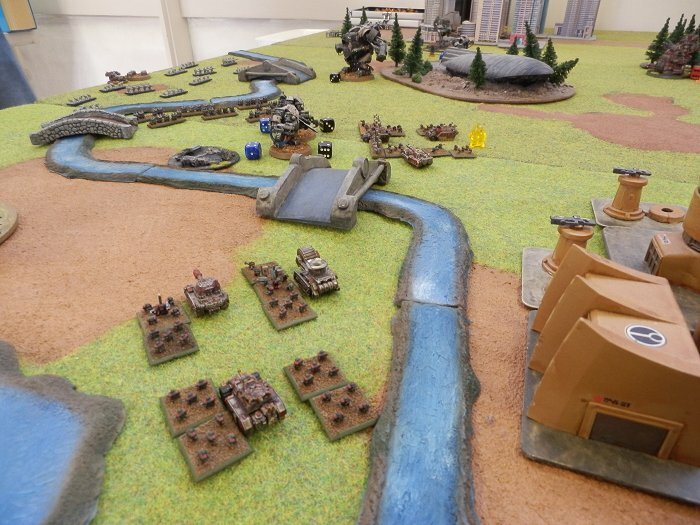 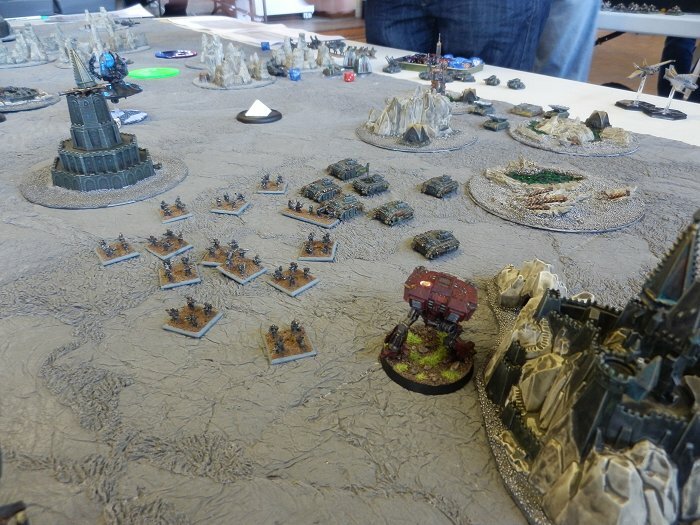 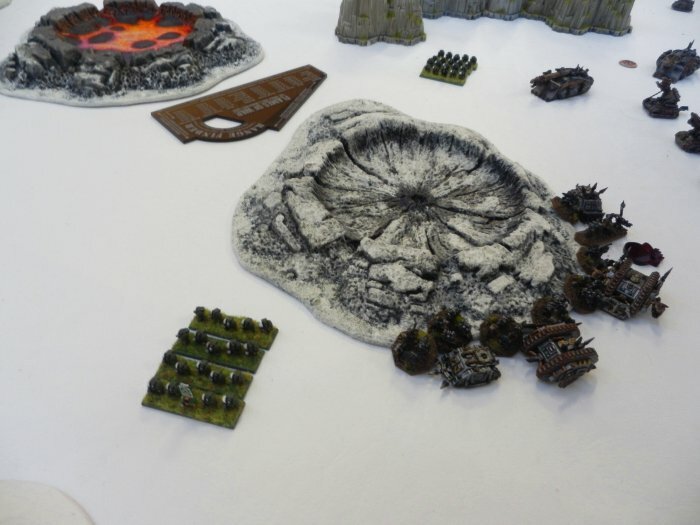 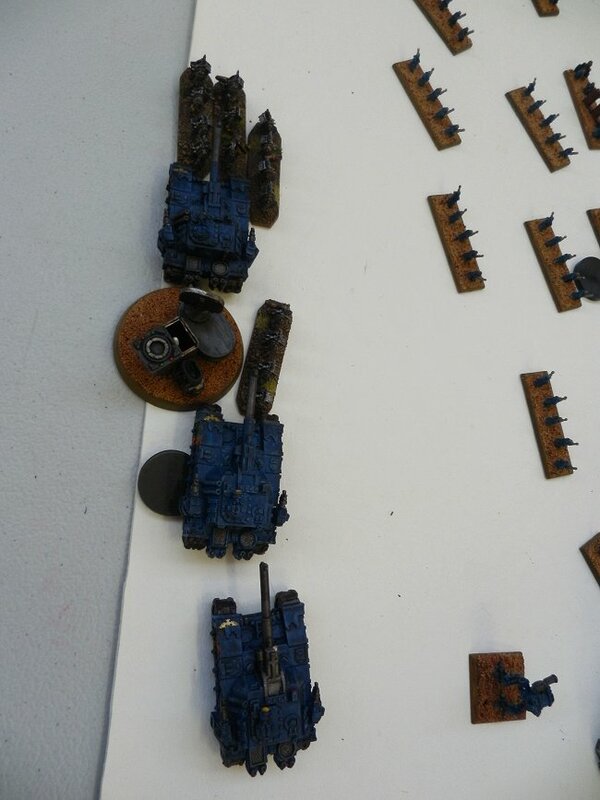 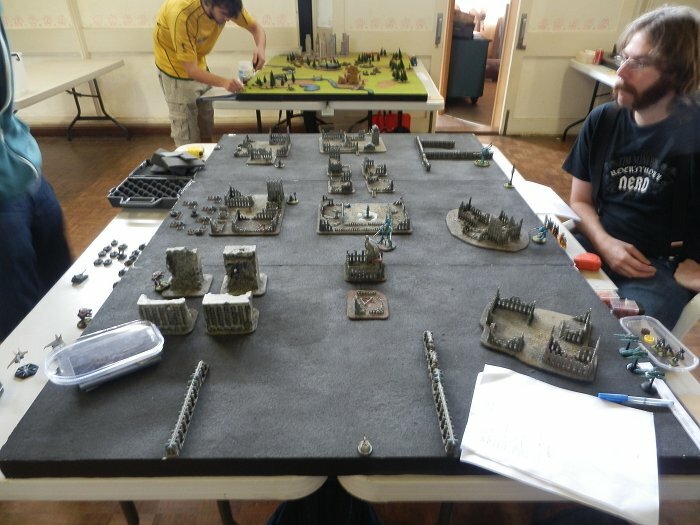 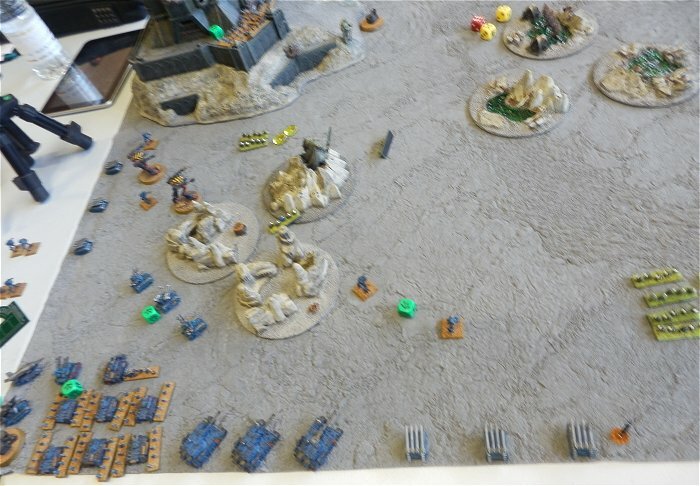 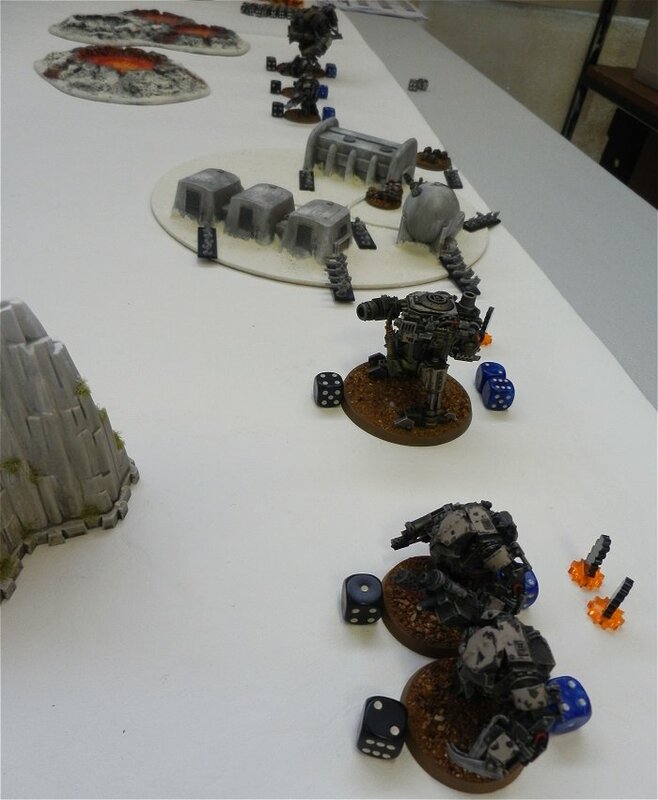 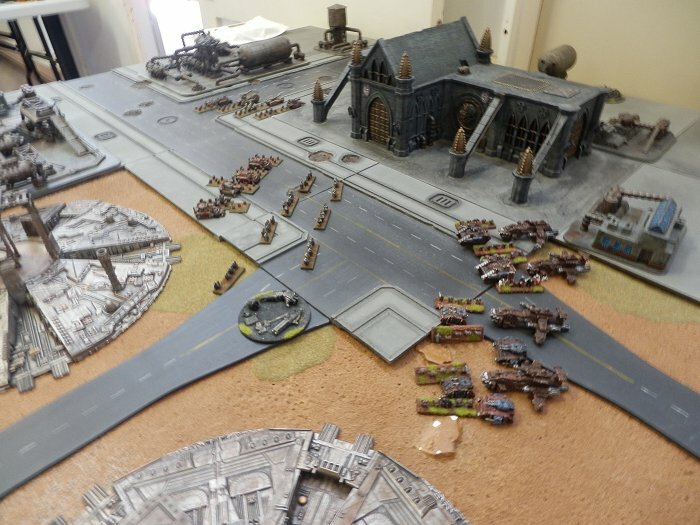 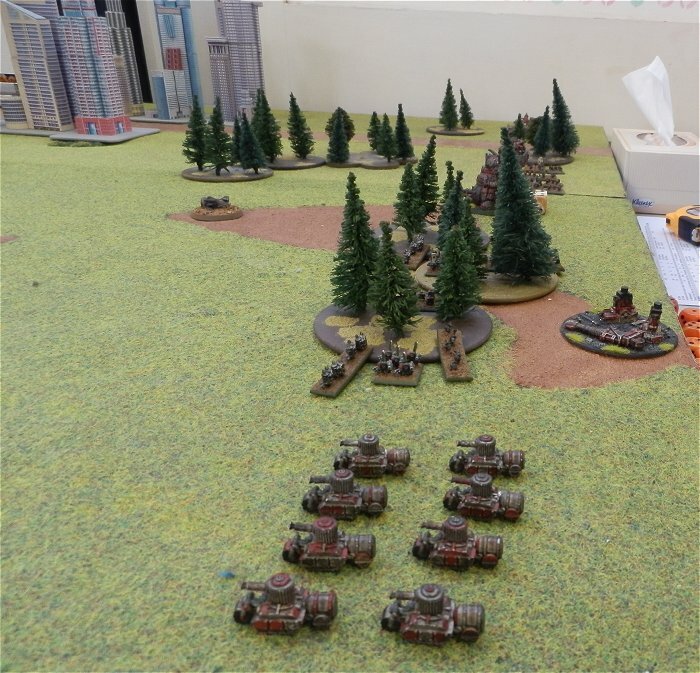 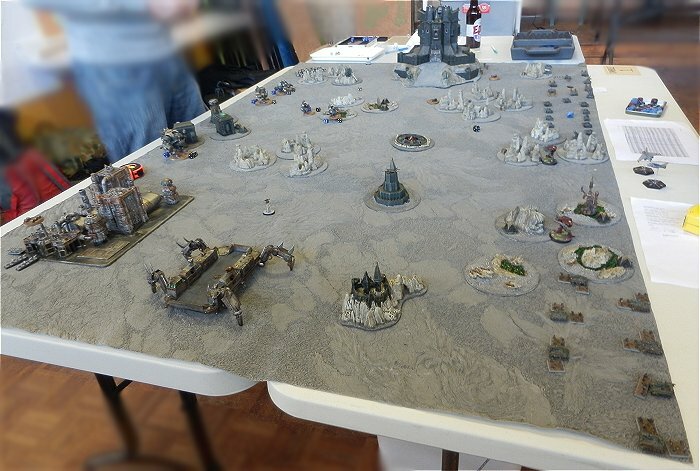 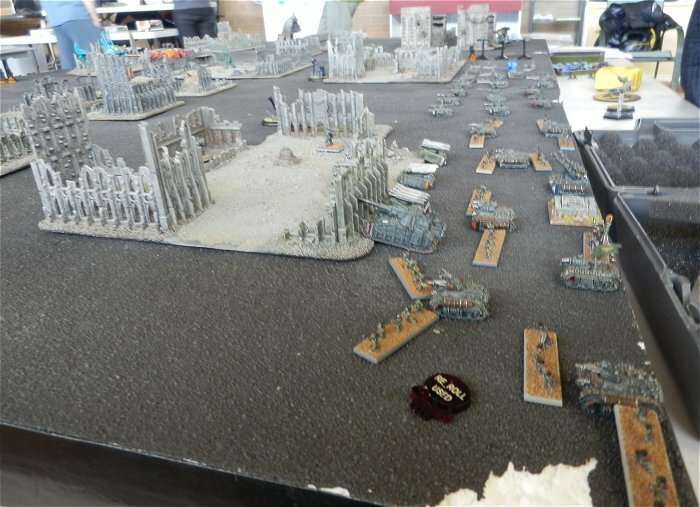 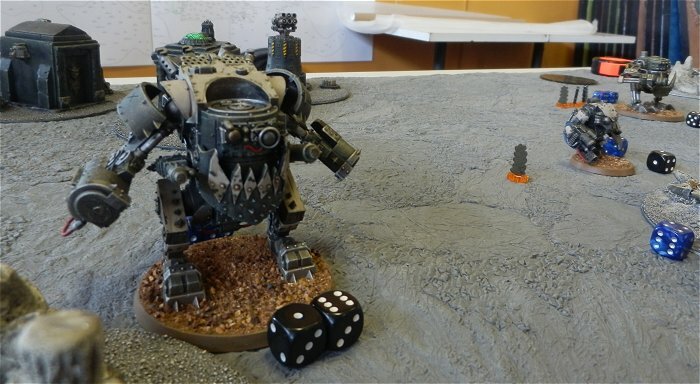 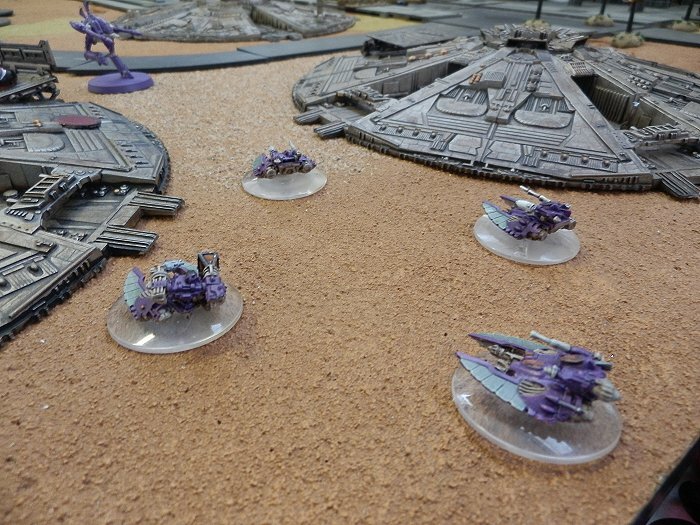 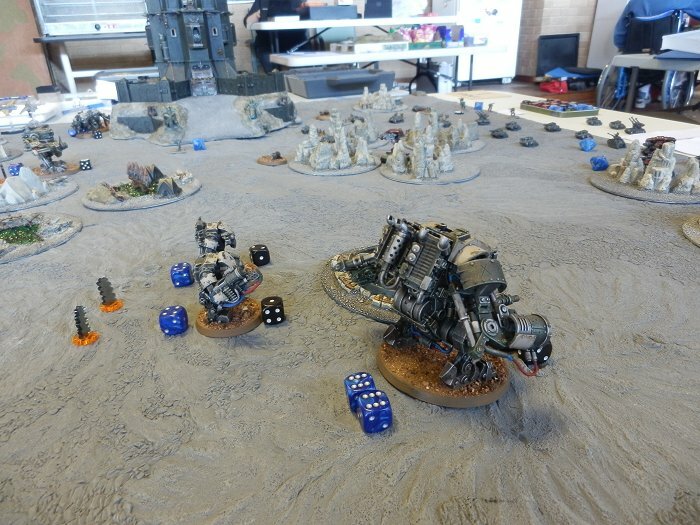 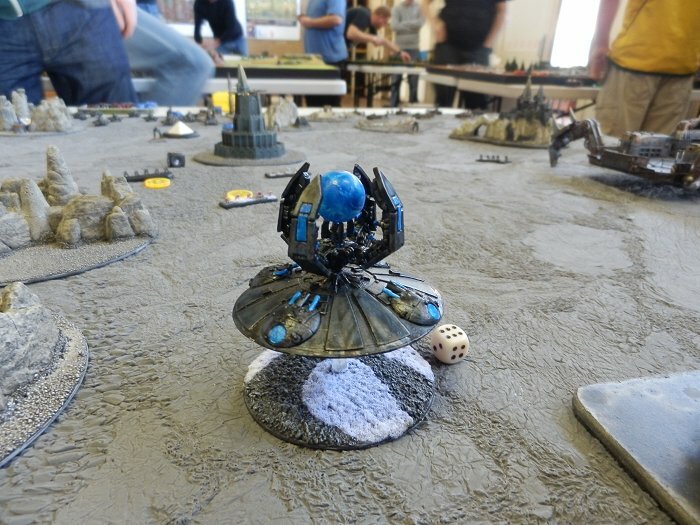 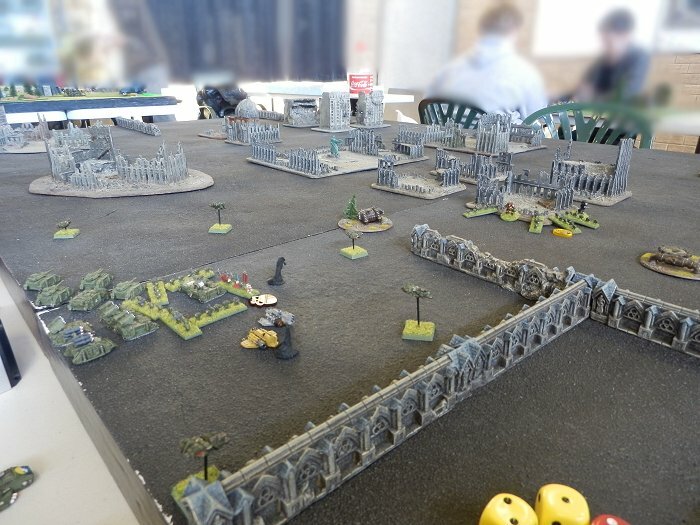 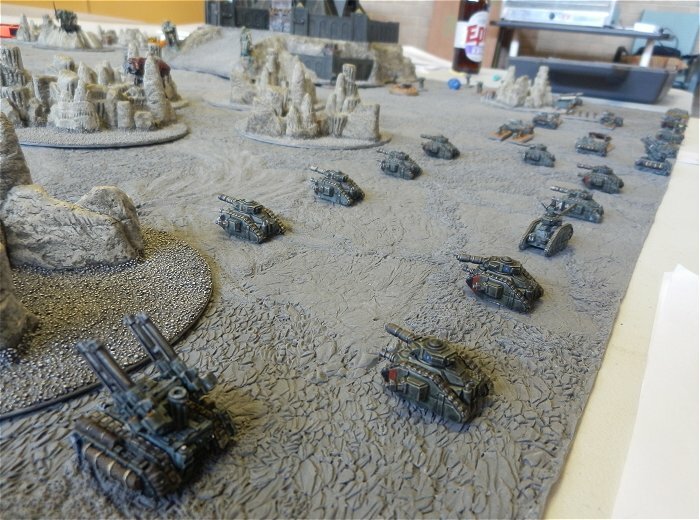 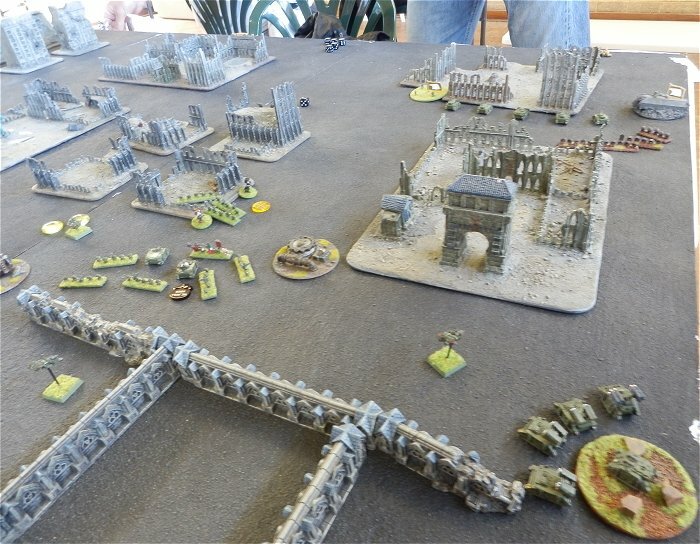 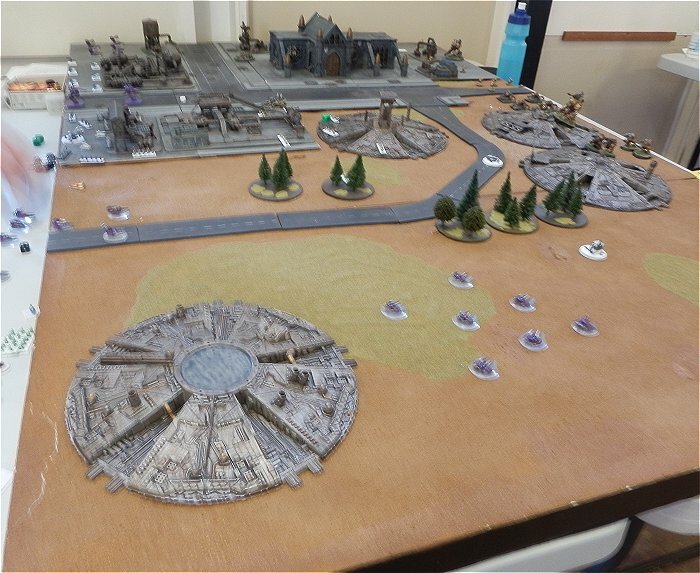 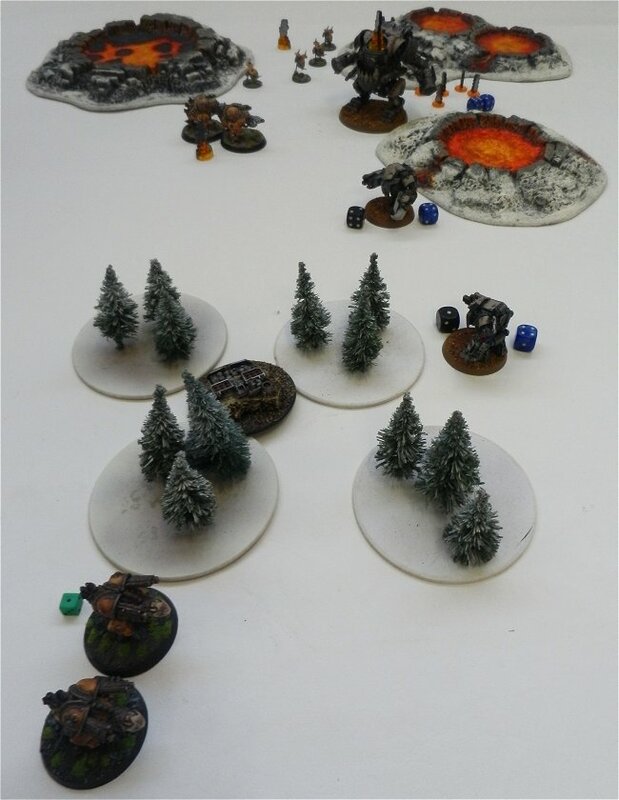 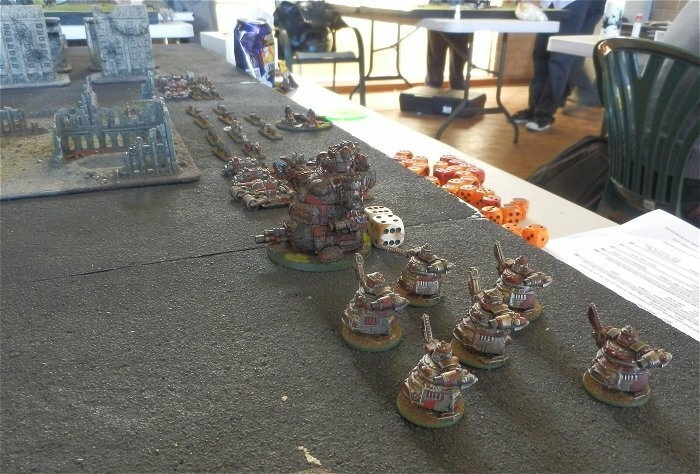 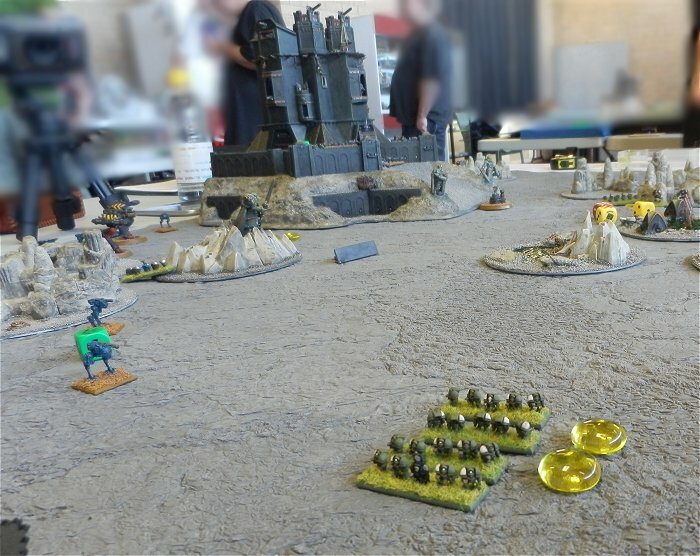 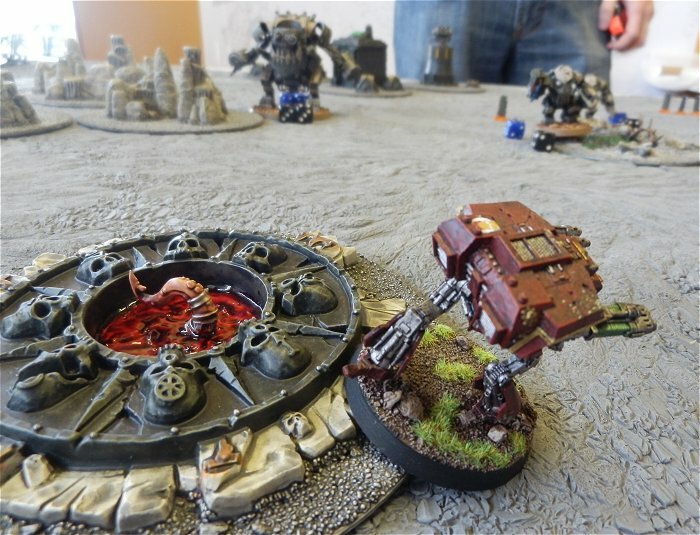 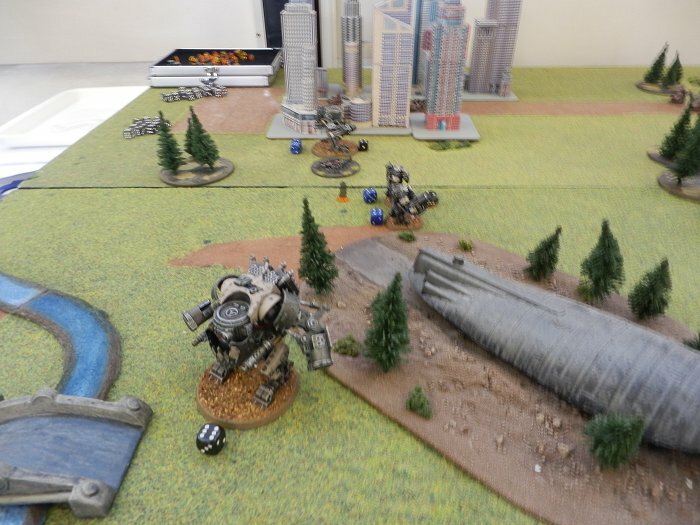 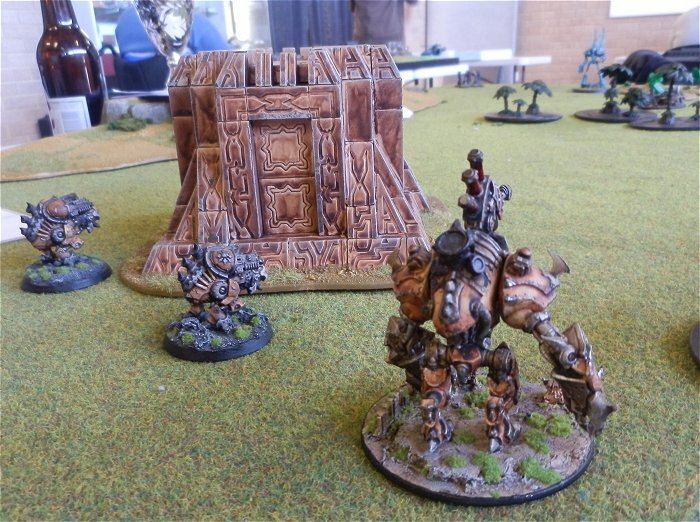 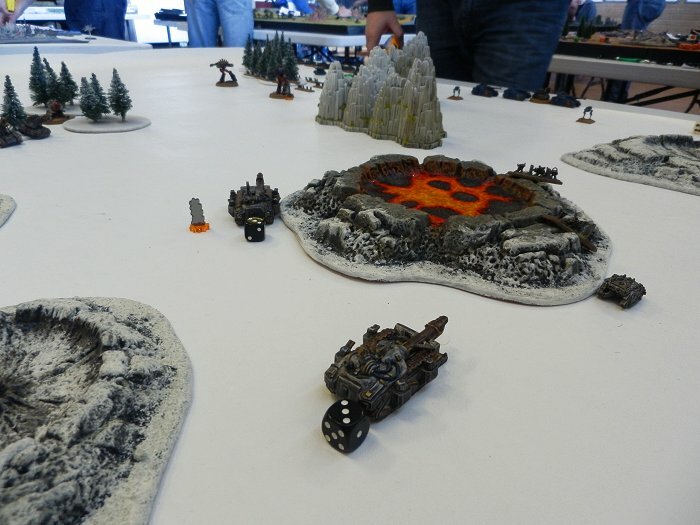 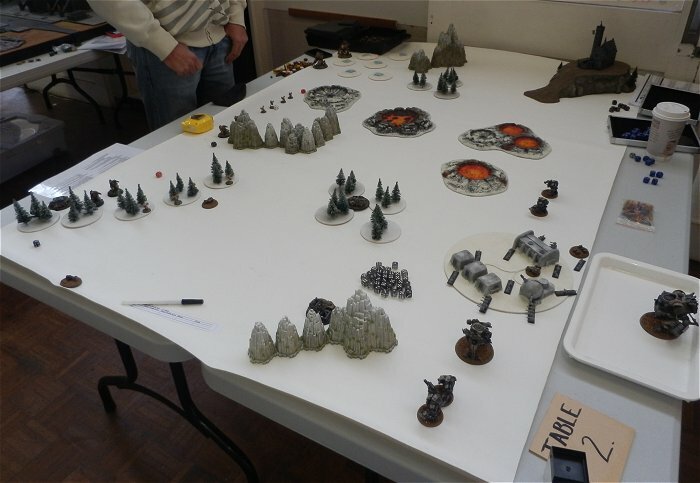 I ran this Epic Armageddon tournament on Sunday the 8th of July 2012. 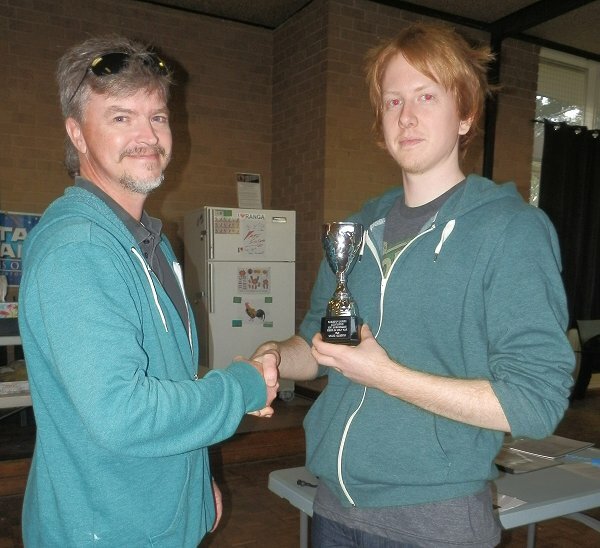 We had 12 entrants (including me as the ringer player). 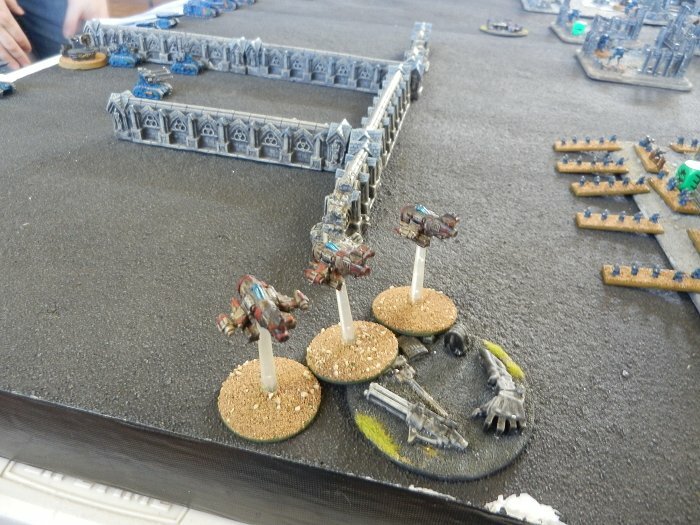 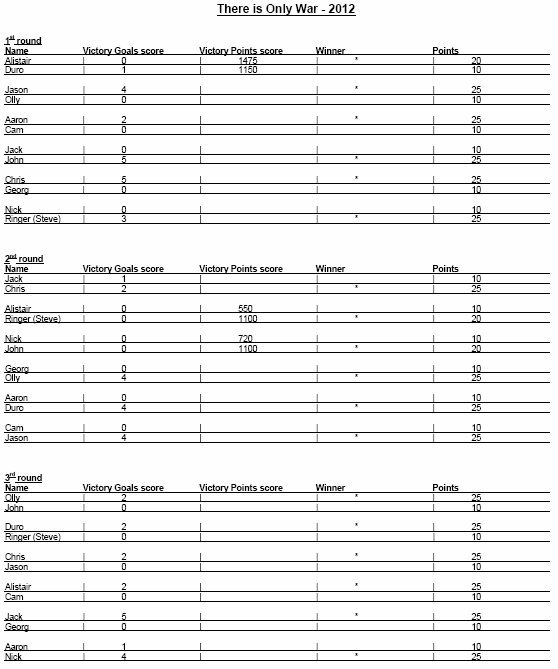 3 games at 3000pts with 2hrs and 15 mins for each game. 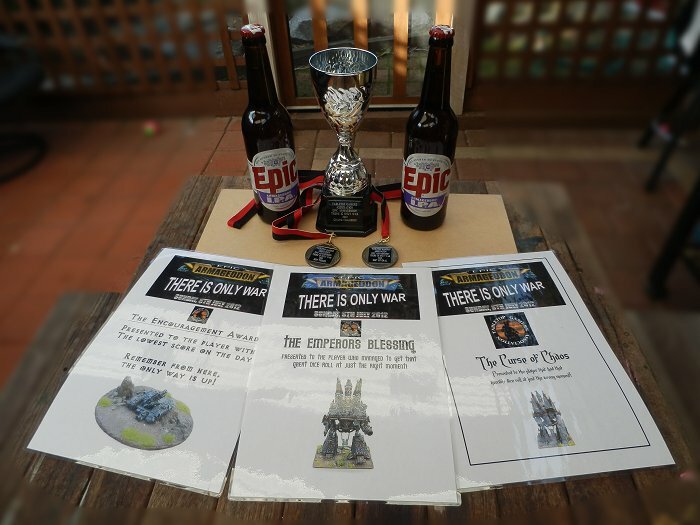 Here is the Players pack for the event. 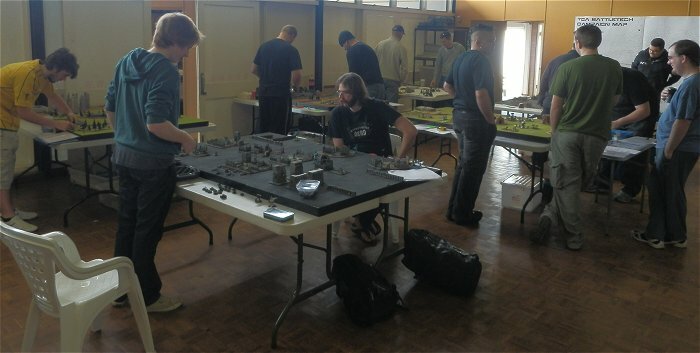 A BIG thanks to Aaron, Alistair, Cam, Chris, Duro, Georg, Jack, Jason, John, Nick and Olly. 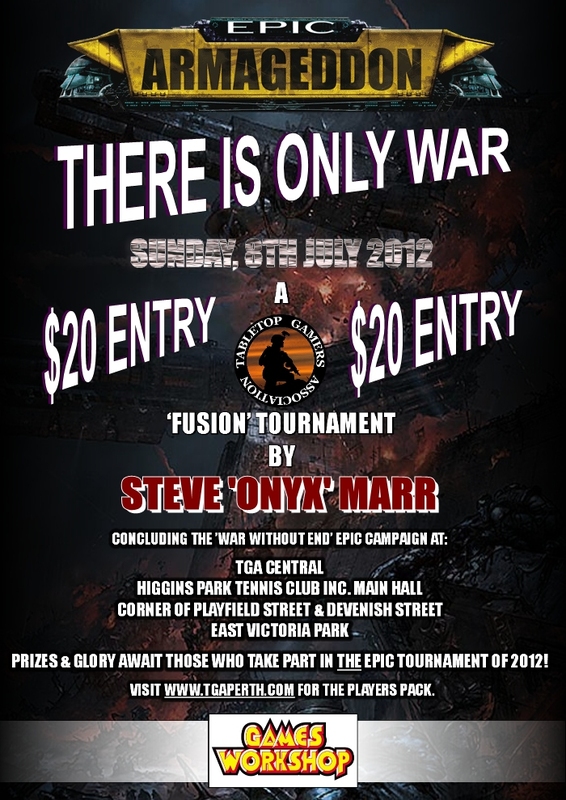 That’s 2 more players than we had last year and 3 of last year’s entrants were unable to play this year. 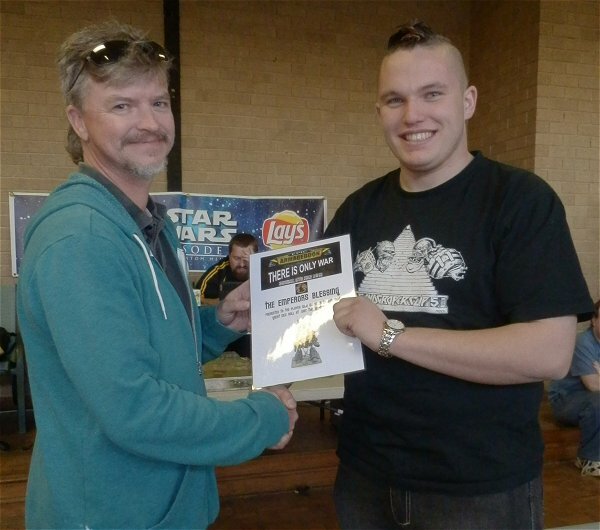 Epic is growing here in Perth, Western Australia! 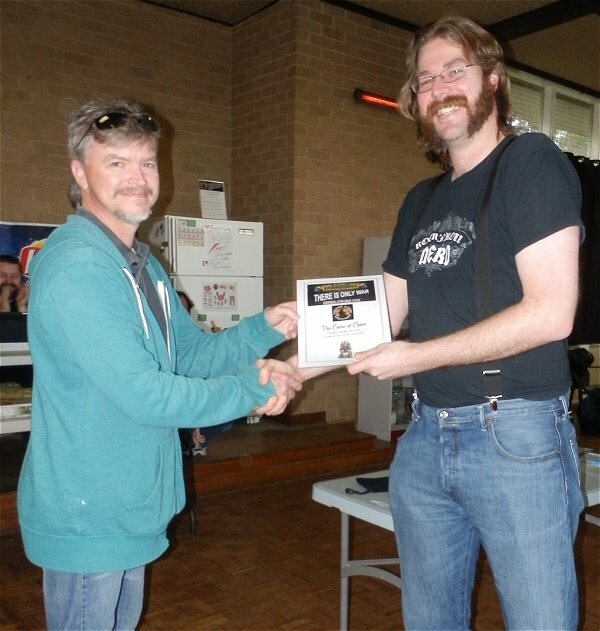 Also, a REALLY BIG thanks to Heather and Ratt for all their help with the paperwork and judging! 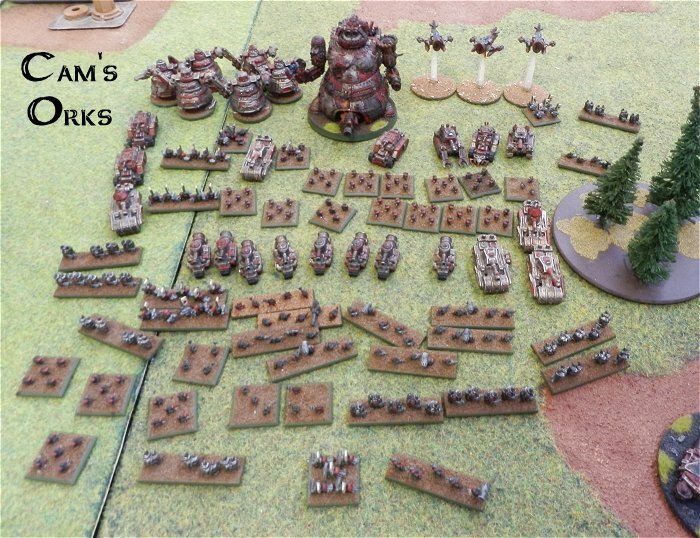 Duro’s army photo to go here. 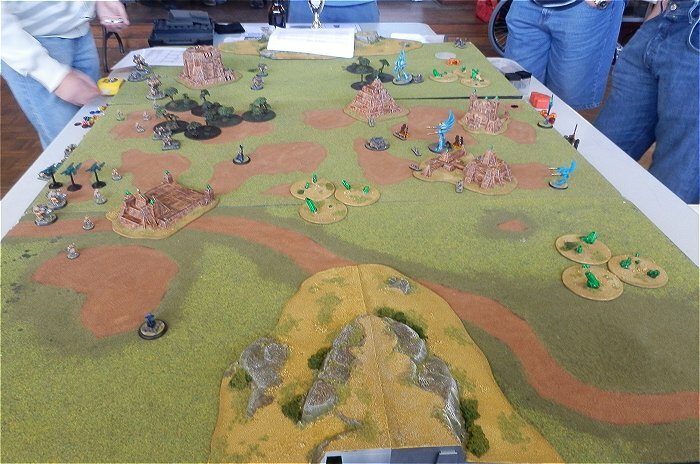 Photos from the 2nd round. 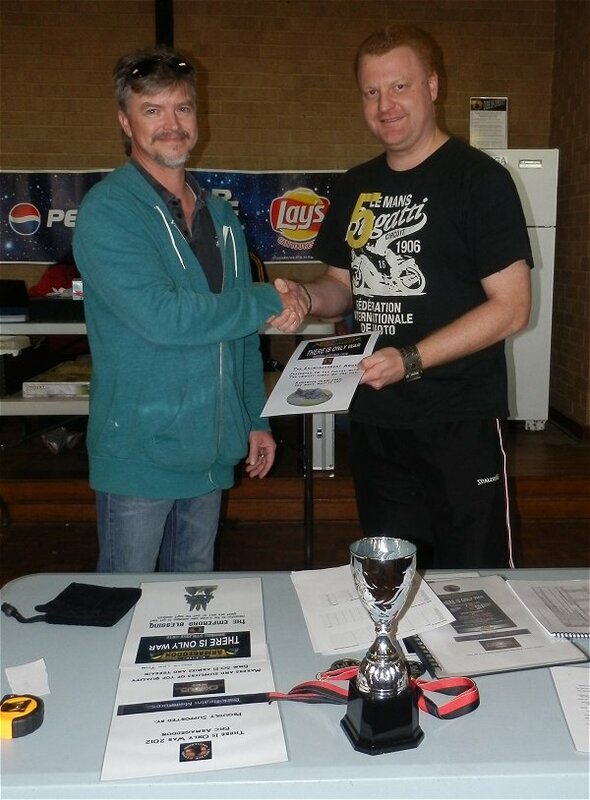 The Encouragement Award to Cam (who’s only played 5 games of Epic including the 3 at the tournament). 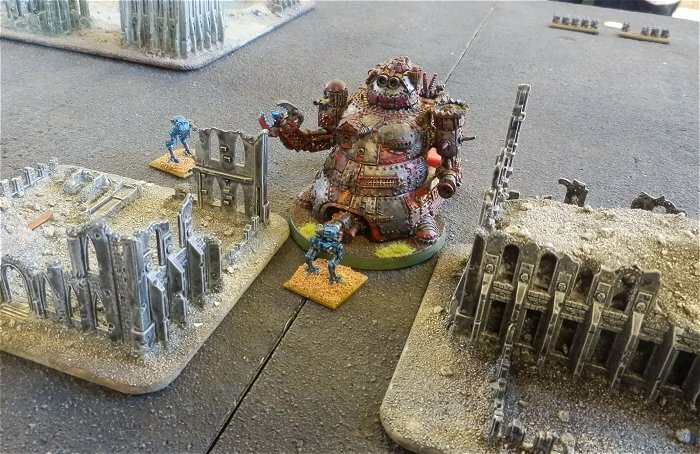 The Curse of Chaos to Georg (for an amazing number of failed Holofield saves and critical damage). 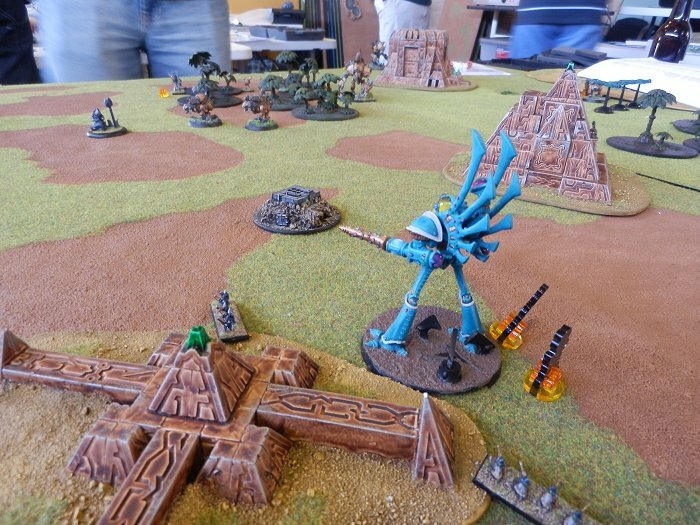 The Emperor’s Blessing to Jack (for managing to destroy Georg’s Eldar Titan army in 15 minutes). 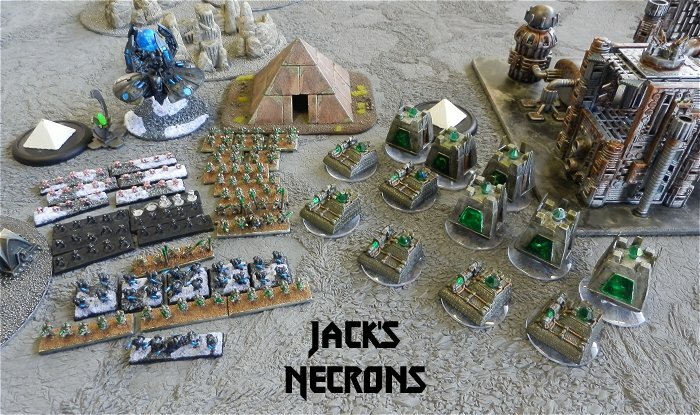 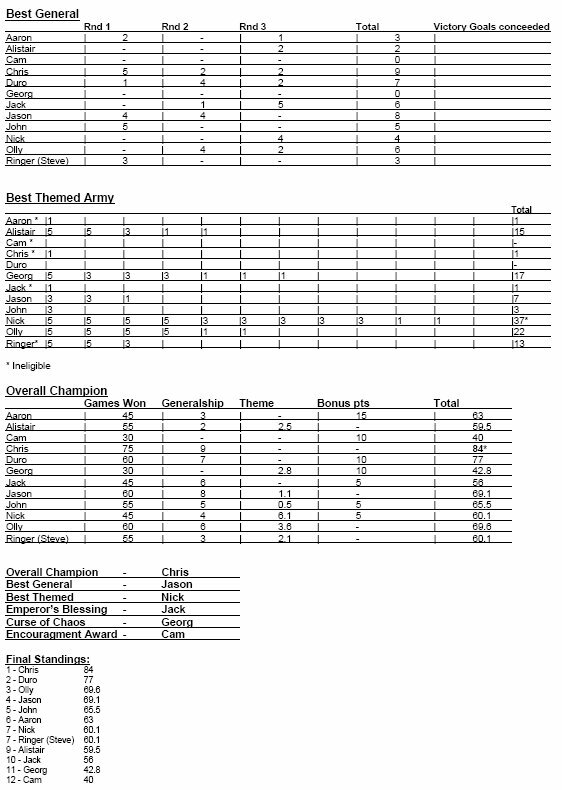 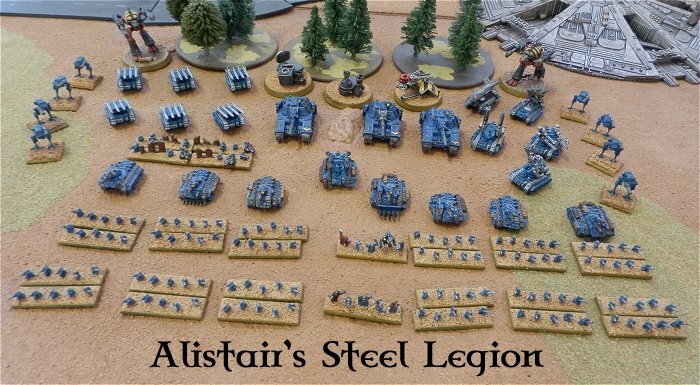 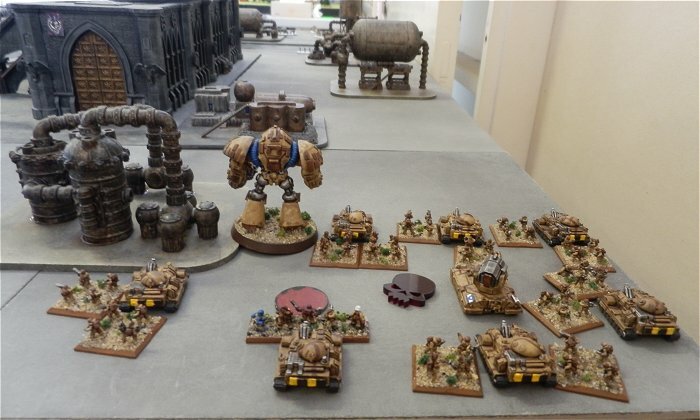 Best Themed Army to Nick (as judged by the players and a guest judge). 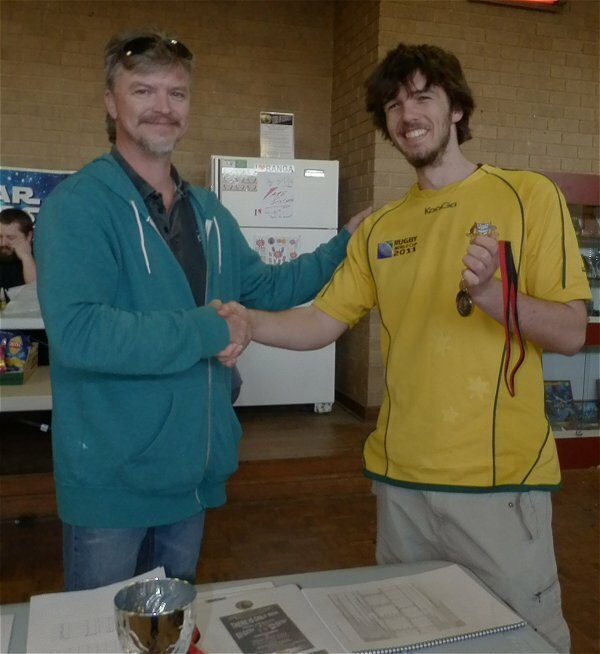 The Overall Champion presented to Chris for a fantastic performance (he’s won the last 2 Epic tournaments in Perth). 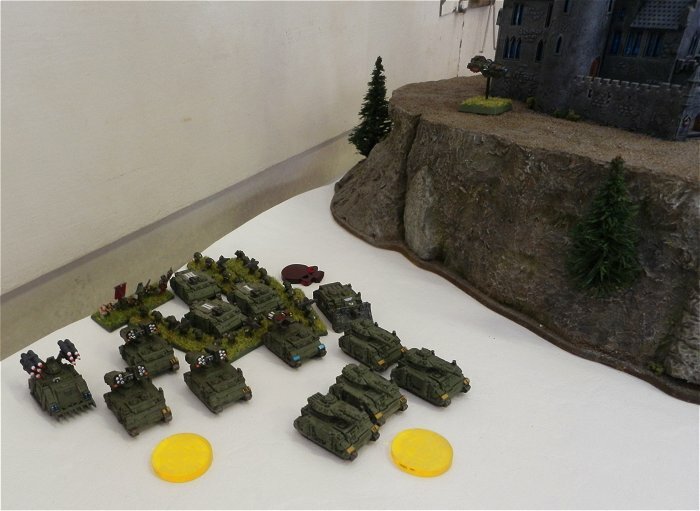 A great day with a brilliant bunch of guys. 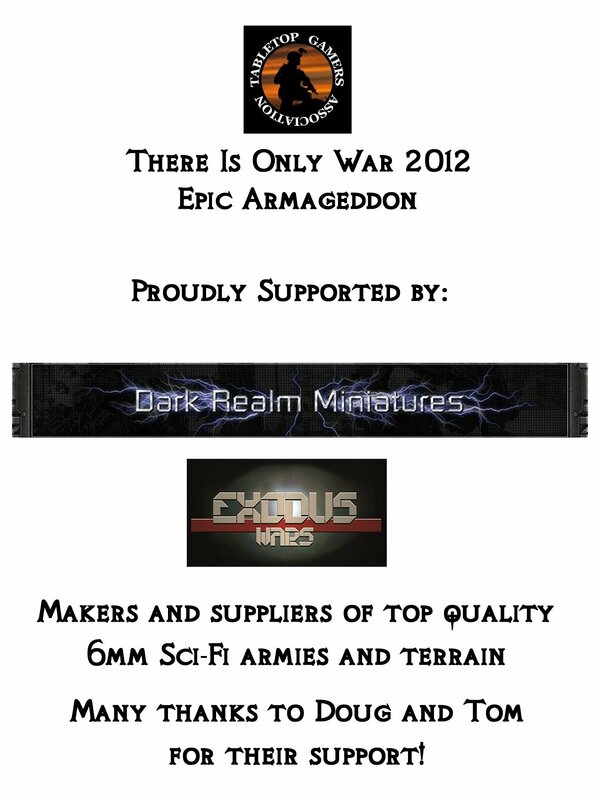 Roll on There Is Only War 2013!